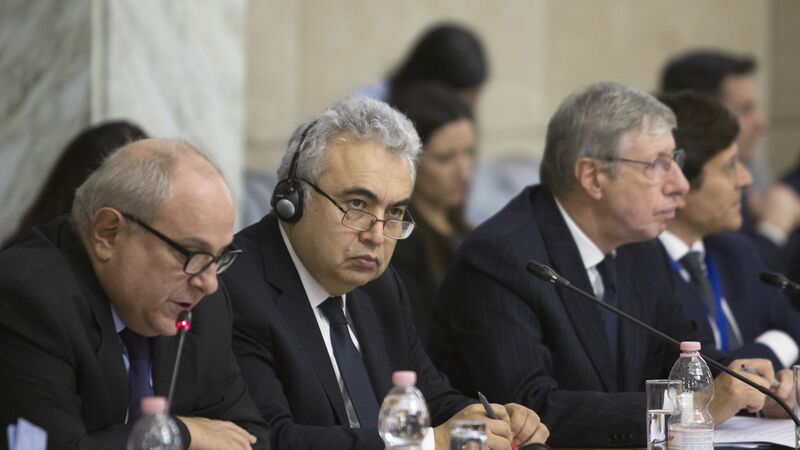 IEA issues warning: "Expensive energy is back"
The International Energy Agency warned Friday that higher prices may bring global economic headwinds — even though crude oil markets are adequately supplied for the moment and the agency has trimmed its demand growth forecast. What they're saying: "[O]ur position is that expensive energy is back, with oil, gas and coal trading at multi-year highs, and it poses a threat to economic growth," IEA said in its closely watched monthly oil market report. The big picture: The Paris-based agency revised its oil demand growth forecast downward for 2018 and 2019 by 110,000 barrels per day each year. "This is due to a weaker economic outlook, trade concerns, higher oil prices and a revision to Chinese data," they said. IEA now sees demand rising by 1.3 million barrels per day (mpd) this year and 1.4 mpd in 2019. Global oil demand is on the cusp of the "historically significant" 100 mbd mark. While the market has enough supplies "for now," Iran's exports are slated to fall even more, Venezuela is deteriorating, and there's the "ever-present" threat of more Libyan disruption. "[W]e cannot be complacent and the market is clearly signalling its concerns that more supply might be needed." Where it stands: Prices are at their highest levels since 2014, but actually fell by several dollars on Wednesday and Thursday. Traders responded to forces including the stock market slide, OPEC trimming its demand growth forecast on Thursday, and DOE data showing a jump in U.S. stockpiles. Today, prices are ticking back upward slightly and Brent crude reached $80.62 a barrel when we sent this newsletter. But per Reuters, Brent prices are still on course for their biggest weekly drop in roughly four months.